Darjeeling: The name of a Gorkha Janmukti Morcha councillor in Darjeeling was struck off the electoral rolls on Thursday after the administration found that she was a Nepalese citizen who had married in the hills but was yet to apply for Indian citizenship. 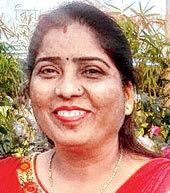 Nira Sharma, the councillor of Ward 1 of Darjeeling municipality, had been elected for the second term in May this year. Repeated calls to her phone met with the response that it was out of reach. Sharma had recently switched allegiance to the Binay Tamang camp. With the administration's decision to strike her name off the electoral rolls, her councillorship, too, stands cancelled. Joyoshi Dasgupta, the Darjeeling district magistrate, said: "Her name has been struck off the electoral rolls as she was found to be a Nepalese citizen from Illam district. She had not surrendered her Nepalese citizenship and had also not applied for an Indian one through the ministry of home affairs, as required." "We are examining the details of the others (councillors). We came to know about this case when got information that some people from Nepal had come to Jorebunglow area for picketing and hooliganism during the recent agitation," the district magistrate added. Sources said some residents had tipped off the administration about Sharma, who has been called for a hearing. The wife of Barun Bhujel, the arrested Morcha councillor who died in Calcutta on Wednesday, has alleged that her husband was tortured in jail. Doctors had said Bhujel suffered from pancreatitis. The police, too, have denied the charge of torture. The name of a Gorkha Janmukti Morcha councillor in Darjeeling was struck off the electoral rolls on Thursday after the administration found that she was a Nepalese citizen who had married in the hills but was yet to apply for Indian citizenship.